The group was formed in 1956 as the ‘Hampers Green Drama Group’ for residents of Hampers Green, Petworth in West Sussex. To widen the membership base the group was eventually renamed as Petworth Players. We are a friendly group who welcome new members. Even if you have never performed on stage before you will be welcome to come and read for a part in one of our productions and help is always needed front of house, with music or with set building, props, costumes and other backstage tasks, there is something for everyone no matter what your talents! If you would like to give it a try, why not come along to one of our rehearsals? We are currently rehearsing on Tuesdays and Wednesdays throughout September, October and November, and would gladly welcome new members. Rehearsal dates and times can vary so contact our Secretary to check when would be best to come along. Parents are welcome to attend rehearsals with their children (some have then decided to become members themselves!) but junior members are under the supervision of responsible adults whilst at rehearsal in accordance with the Petworth Players Child Protection policy. In this website we aim to give details of our next performance and sell tickets for our next performance. Several times a year we organise social gatherings and members often arrange to make up a group to support other local amateur dramatic societies by attending their productions. We have a public fan page on Facebook where you can follow what is happening with the group, and a Facebook members group to let you know of rehearsals, social events, etc. If you are keen on the theatre then come along and join us, either as a member of the group or a member of the audience. Royal British Legion Members Club, Bar and Entertainment. Welcome to the Royal British Legion Club Petworth! Membership is easy - No military connection required. Club and RBL Membership is only £21 for the year! There is always something happening in the club and we are always looking for new ways to keep our members happy and entertained. We have two full sized snooker tables, dart boards and BT sport. The Band was founded in the nineteenth century when almost every town and village had its own band. It is now one of only a handful of traditional West Sussex village bands to have survived. It leads the Remembrance Day Procession through the streets of the town and plays at many other local events, in addition to two concerts and the Christmas Lights Switch-On. Further afield the Band regularly appears at the Cowdray Gold Cup Polo, summer fetes and other public and private events. Our President, Lord Egremont, and the National Trust provide a band room above Petworth House Stables (entrance adjacent to Church Lodge) where rehearsals take place every Monday from 7.00 to 8.30pm. The Band is a friendly and inclusive group and welcomes new brass, woodwind and percussion players of all ages and abilities. Uniforms are provided and the loan of an instrument if required. Subject to availability the band can undertake public engagements, such as fetes and concerts, also private parties and corporate events. Please refer to our website for details of how to join or book an engagement. The Arts Society West Sussex was founded as West Sussex Decorative and Fine Arts Society (WSDFAS) in 1969 and became the twentieth member society of the National Association of Decorative and Fine Arts Societies (NADFAS), now know as The Arts Society. We provide our members with an excellent programme of illustrated lectures, and we arrange visits to galleries, museums, country houses and other places of cultural interest. We also organise study days and arrange an annual holiday either in the UK or abroad. Meetings are normally held in Fittleworth Village Hall RH20 1JH on the first Tuesday of each month at 2.00 pm and are followed by tea & coffee (Doors open 1.40 pm). Fittleworth is a convenient distance from Petworth, Pulborough, Arundel, Midhurst, Billingshurst and Chichester. There is ample parking at the Hall and visitors are welcome. The Leconfield Singers is a thriving mixed-voice choir of around 100 members based in the centre of Petworth. 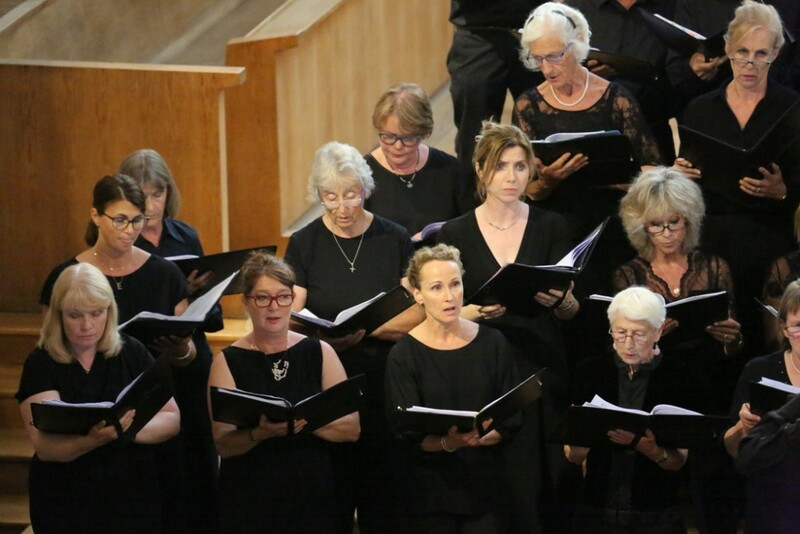 Our choir has performed an impressive list of major and small-scale works from the choral repertoire of both sacred and secular music, in venues ranging from cathedrals, concert halls to open air venues. In May 2016 we joined forces with 2 other choirs as part of English Philharmonia Chorus and performed at The Royal Festival Hall, an experience we will be repeating in May 2019 with Elgar's The Dream of Gerontius. We are a charity (No. 1152725) dedicated to promoting music, the arts and culture in and around Petworth. Our concerts have been received enthusiastically by audiences throughout the South East of England, and we have taken our repertoire on tour to France, Italy, Belgium and more recently to Prague in the Czech Republic.